Here at E3R we know the value of working with others, which is why we pride ourselves on our relationships that allow us to network with our peers and be at the forefront of industry news and development. 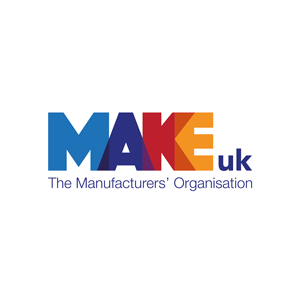 MAKE UK support manufacturing and engineering in the UK and EU including providing support and training to businesses. They help to foster enterprise and innovation in the manufacturing industry, keeping businesses safe, compliant and future focused. E3R is the only recruitment member of this unique support network organisation for the manufacturing and process industries, offering support and networking opportunities to companies both large and small. Together, members share best practice and overcome common industry challenges. E3R is the only recruitment patron for Yorkshire’s newest manufacturing network which has only been running over a year, but already has nearly a hundred members. The network is driven by regular steering and focus groups to advise on continued improvement in the sector. E3R is an associate member of British Precast, a trade association for the UK precast concrete industry, representing members and raising industry standards in health and safety and sustainability whilst developing technical projects. Being an ethical food recruiter, E3R is a member of ALP, which stands for the Association of Labour Provider which is a specialist trade association promoting responsible recruitment and good practice when supplying the workforce to the food processing, agricultural and wider consumer goods supply chain and has a significant impact on government and regulatory policy. 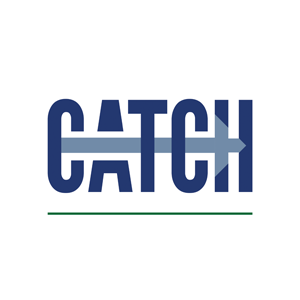 E3R is an exclusive partner of leading trade association CATCH, an industry led partnership which supports the engineering, process, and renewable industries in the Humber region. CATCH merged with YCF last year and offers a skills provision with full programme of accredited courses and a £12 million training facility. ER3 are trained practicioners in CEB talent measurements tools and a&dc behavioural and developments assessments, and working in partnerships with Informed Assessment Ltd, deliver an integrated recruitment and selection process to clients. CEB, formally SHL, offer a range of assessments which improve hiring outcomes and achieve business objectives by identifying and selecting the best-quality candidates using proven tools, assessments and tailored services. a&dc are at the forefront in behavioural assessment and development. They make a measurable difference to business performance by using behavioural assessment to recruit and select great talent into every job and developing leadership behaviours that enhance business results. Saville Assessment enhance the recruitment process with their industry-leading psychometric tests, personality assessments, and aptitude and ability tests, which effectively measure and develop talent, equipping organisations to improve how they hire, build and lead their talent. As a member of TEAM, E3R is able to work with a network of over 500 independent agencies throughout the UK. This enables us to offer an enhanced service to clients with access to a larger selection of qualified candidates from the TEAM network as well as coverage in all recruitment sectors and legal advice and legislation updates for the UK and internationally. is a UK based international professional body for both recruiters and human resources professionals. It provides best practice guidance, training, education and networking to all recruiters – agency, in-house recruiters and HR teams providing services with the common goal of an efficient, seamless processes. The Advisory, Conciliation and Arbitration Service provides free and impartial information and advice on all aspects of workplace relations and employment law. This enables E3R to position and advise our clients on new legislation and policy changes improving employee and employer relations.